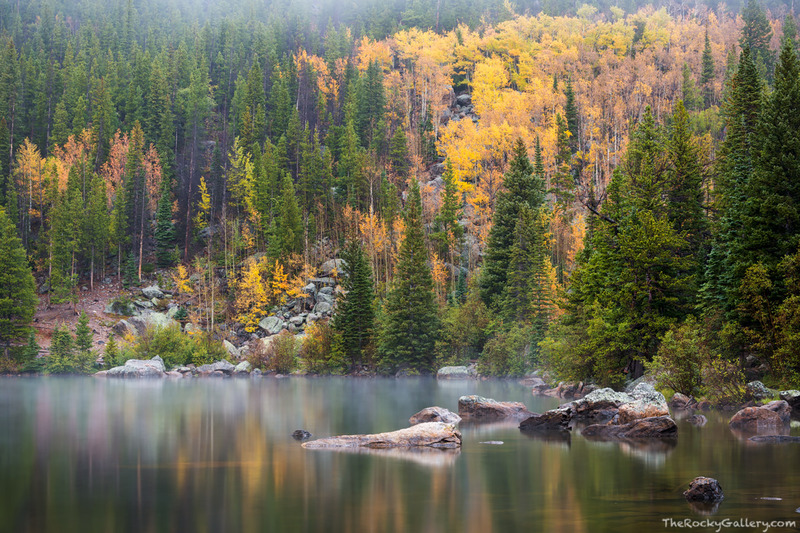 A light drizzle along with fog moves through the golden aspen trees just above Bear Lake on a cool September morning in Rocky Mountain National Park. The aspens along the hillsides above Bear Lake will only have a few more days before all their leaves are shed for the season as they prepare for the long winter ahead. Photo © copyright by Thomas Mangan.